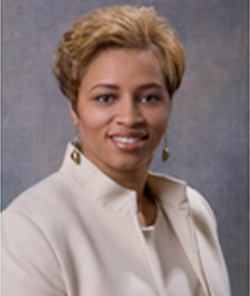 Tiffany Eubanks-Saunders is a Senior Vice President at Bank of America Corporation, where she serves as the Carolinas and Tennessee Market Sales Executive for the U.S. Trust business. In this role, Tiffany is responsible for developing and driving sales strategy and process enablement for the U.S. Trust Private Client sales teams. Prior to this role, Tiffany served as Bank of America’s Global Support Services Executive, reporting into the Chief Administrative Officer (CAO) Group, leading global commodity purchasing, operations and vendor management strategies. Until recently, Tiffany also served as Bank of America’s Supplier Diversity and Development Executive, responsible for achieving Bank of America’s corporate commitment to spending $10 Billion with small, medium and diverse suppliers. Under Tiffany’s leadership, Bank of America was inducted in 2014 as the first and still to this day, the only financial services institution to earn this distinction. Since joining Bank of America in 1993, she has held various positions in Consumer and Retail Banking, Commercial Banking, Card Services,Global Technology and Operations,Corporate Finance, as well as Global Marketing and Corporate Affairs. Tiffany is involved in wide variety of professional and civic organizations, including, but not limited to the INROADS, Inc. National Board of Directors, the National Minority Supplier Diversity Board of Directors and the North Carolina A&T State University – College of Business Executive Advisory Council.